Our weekly webmasters live Q+A is a broadcast via Google Hangouts supported with a live twitter chat stream #IMHhangout. Everybody wants to make money online! If you are on the internet, there is a part of you aware of the massive online income potential that everyone else seems to partake in. Whether you are looking to gain freelance gigs, earn through advertising, sell services, do information marketing, or simply learn what affiliate marketing is all about, this hangout could be your starting point! This subject has the broad scope to enable a talk for a long time, so as the host I’ll simply aim to eek out of those that join us what has worked for them in the hope you might glean something useful for yourselves. The format this week is going to be a fairly open forum for debate, opinions, and shared experience, here are the guide questions to stimulate your thoughts. Questions to follow a round of introductions: I’ve prepared a couple of handouts for you to keep track of in this huge subject! 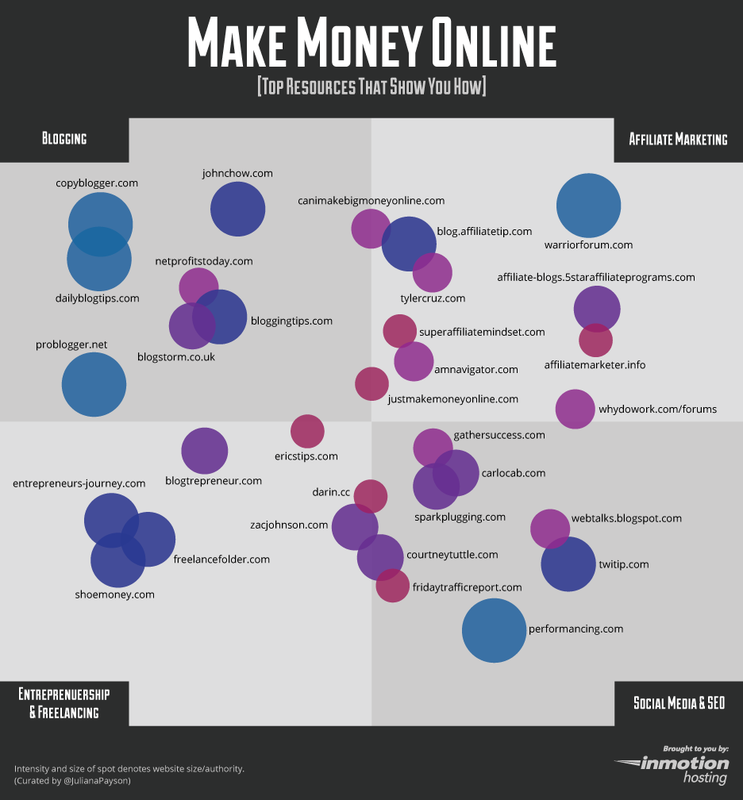 What websites helped you learn about making money online? 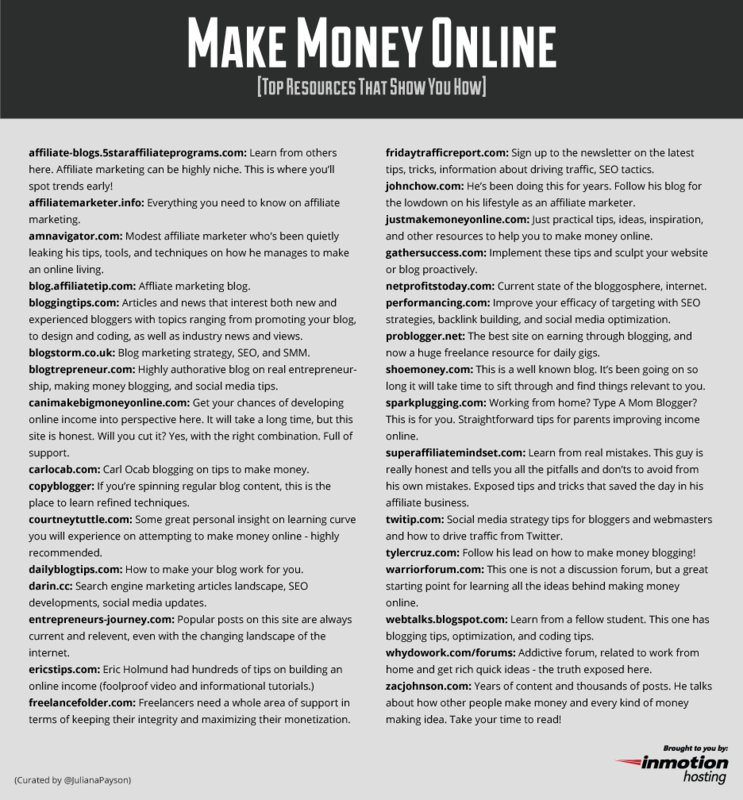 Do you agree or disagree with our top online money making resources? Type ‘InMotion Hosting‘ into google plus search to find our brand profile page. On your mobile device you have to do this through ‘people‘ [not circles] profile search to view our page profile. “This hangout is not currently supported on this device” – So we are aware difficulties like this do happen, as this is what I saw on my iPhone. I’m looking forward to suggestions from other mobile people on how they overcome this. In the mean time the only suggestion I have is to leave the G+ app, and restart it if you see this message come up. Even so, please don’t let this hold you back! We value your input through the TweetChat hashtag, make sure you tag your conversation with #IMHhangout so that everyone in the community can see your voice! @InMotionHosting #IMHhangout will be hosted by @JulianaPayson. @IMH_Affiliate – Our Affiliate Manager, will be keeping a deft eye on G+ and hopefully making sure you can jump in. @Maria_InMotion – Our SEO and Partner Specialist will be watching out for people on Facebook to make sure you get a mention. Our last hashtracking report shows that we had over 127,000 impressions on #IMHhangout!